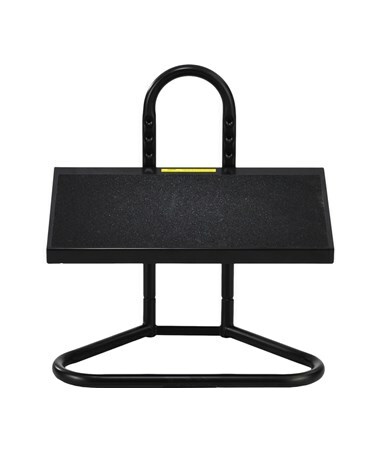 The Safco Task Master Adjustable Footrest is a heavy-duty, high-range footrest ideal for offices, warehouses, and other industrial working areas. It relaxes tired feet and provides relief and added comfort by alleviating pressure on thighs and feet especially for those who stands for a long time. Its large base reduces the chance of tipping over and the non-skid surface prevents the feet from slipping. Supporting a good posture even while sitting, this footrest can be adjusted according to your desired height to provide utmost relaxation. It offers nine positions and height range of 9.5-inch with a 1.25-inch increment. The base is anti-slip to make it comfortable to the feet. 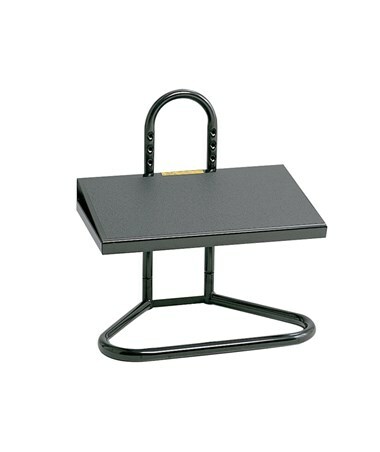 Made from steel, this footrest is made using a heavy gauge tubular steel construction. For stability, it locks the base together easily with button tabs. 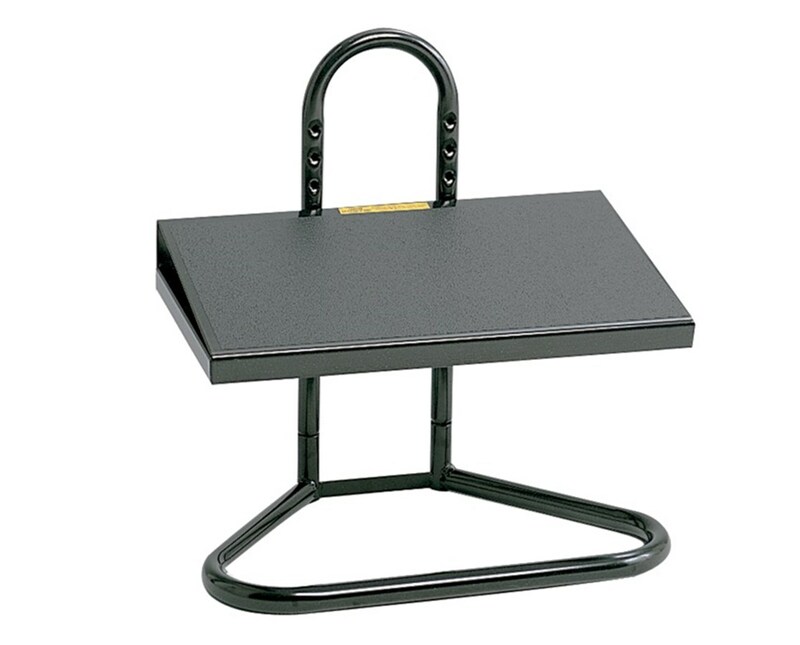 The Task Master Adjustable Footrest is covered with a powder coat finish to prevent corrosion. Assembly is required.